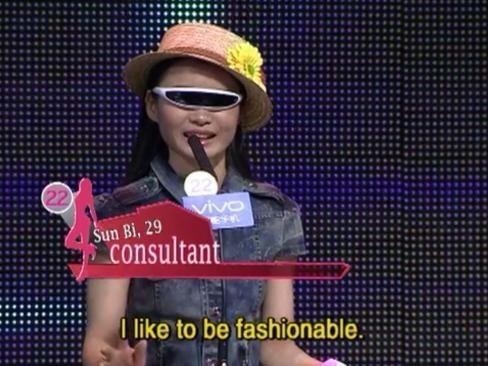 Owned by Jiangsu Satellite Television, FCWR is currently China’s most watched reality dating show. If you have an Australian VPN, episodes aired on SBS2 may be accessed online via SBS On Demand, although they are only up to season 5 (2012) at the moment. That’s about all from me; an idiot-proof guide exists on Wikipedia; a more succinct take is available on about.com; historical origins to a similar Australian game show is recounted on crikey.com. Plus, several of the women very quickly spiral into (micro)celebrity status overnight. I’ve plough through much of the interwebs (okay, mostly Google) and uncovered two of my favourite recounts from both sides of the podium. 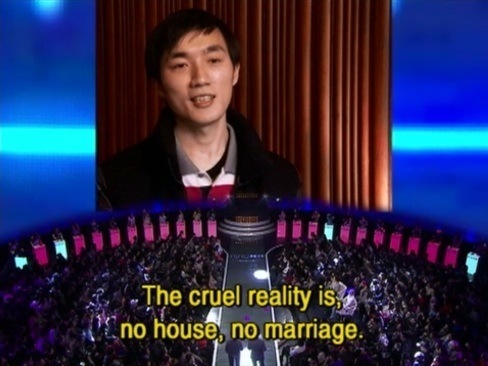 Daniel (male contestant) is a ‘foreigner’ who lives and works in China; he successfully walked home with a date from the show and has written a Foreigner’s Guide. Coco Ma (female contender) is an academic who works in the media industry, and “went undercover” on the show. She was on FCWR for six episodes and wrote about the experience/the backstage on the Asian Creative Transformations site, run by Professor Michael Keane at Queensland University of Technology. 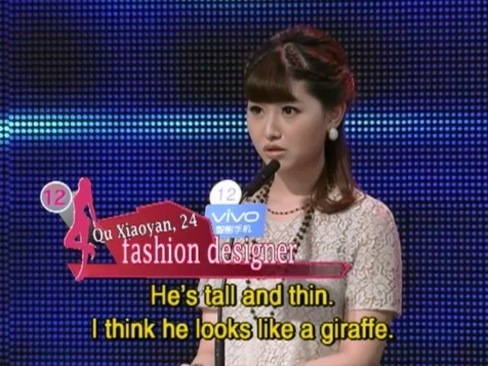 The live tweets from the audience on #ifyouaretheone and #feichengwurao are usually the best commentary/brainfarts. On a flight three weeks back, I downloaded about 40 articles (newspapers, blogposts, academic journals) on FCWR to tide me through 5.5 hours, and ended up falling into a black hole of intrigue and wonder. I want to write about the series analytically some day in the future, post-thesis submission (this list is growing soooo long). Just yesterday, I chanced upon this treasure trove of a Tumblr, with an archive of screen grabs from the latest episodes. It is titled ‘Commemorative Fashion Shoes’ after one of the prizes that the women may receive when they are successfully paired with a male contestant. The owner of the Tumblr has very kindly given me permission to use his screen grabs for this series of blogposts. I daren’t count myself as a Media Scholar, but this tongue-in-cheek coding follows after my academic interest on gender on the web. – Hu, Xuelei et al. 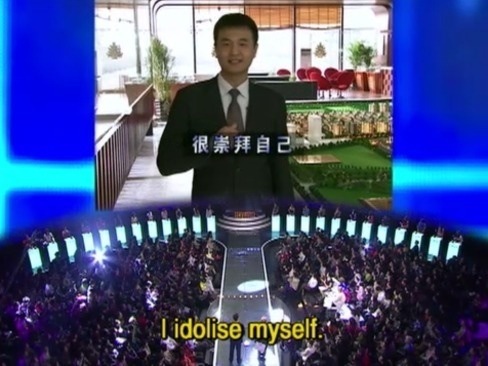 (2013) ‘Mining Human Attractiveness from Chinese Dating Game Show If You are the One’ 2013 International Conference on Service Science pp.271-276. 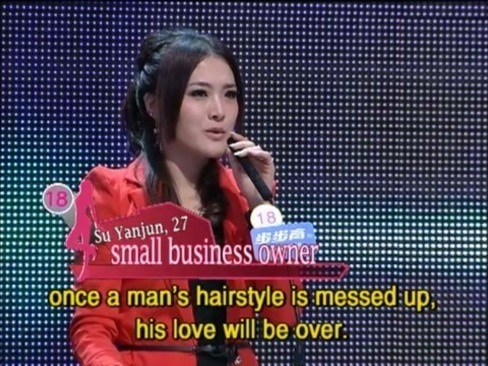 – Li, Luzhou (2014) ‘If You Are the One: Dating shows and feminist politics in contemporary China’ International Journal of Cultural Studies pp.1-7. – Luo, Wei & Zhen Sun (2014) ‘Are You the One? 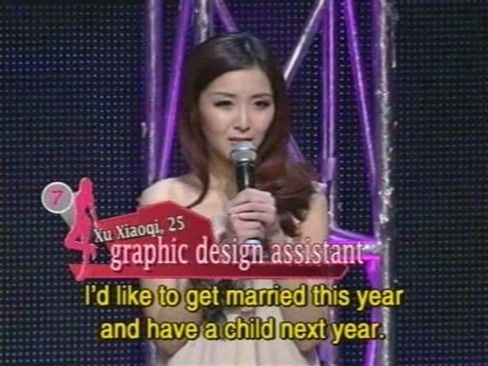 China’s TV Dating Shows and the Sheng Nü’s Predicament’ Feminist Media Studies pp.1-18. Are you fan/hater/ambivalent consumer of FCWR? What do you think of the show? Beep me! Chat soon!